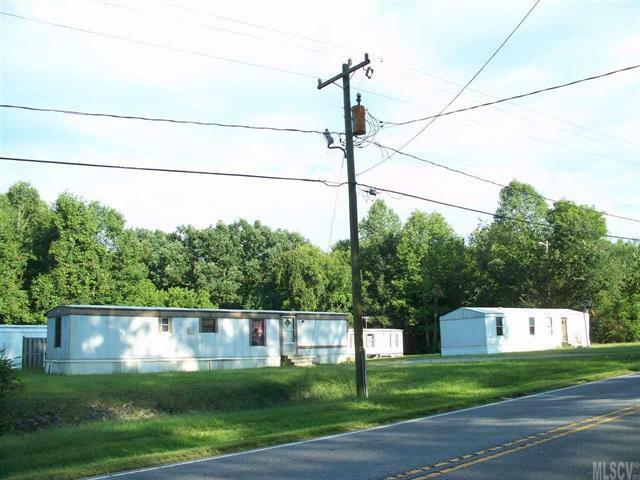 A fantastic opportunity awaits with this manufactured home park, located directly off of the main highway between Wilkesboro and Taylorsville. According to Seller, it is the only flat land available to purchase in this area. What a perfect setting for your business, currently zoned as B-4. The listing price does not include the manufactured homes which currently have no value. Seller says 3 of the homes need carpet, paint and some TLC. The 4th home was burned in a fire but is fixable. Currently, none of the homes are rented. The Park has been winterized. According to Seller, appraised value as of 9/10/15 is $96,000. This provides the perfect opportunity to turn the Land into any type of business. Come take a look! Endless business opportunities are available with this site.